Many parents find it difficult to set up good communication channels with their child. Many parents find that they spend the majority of their time yelling at their child in hopes to change their behavior. When a parent yells over many days, then the child starts to just tune it out. If this is happening in your home or you just want to communicate better with your child, then be sure to follow these tips. 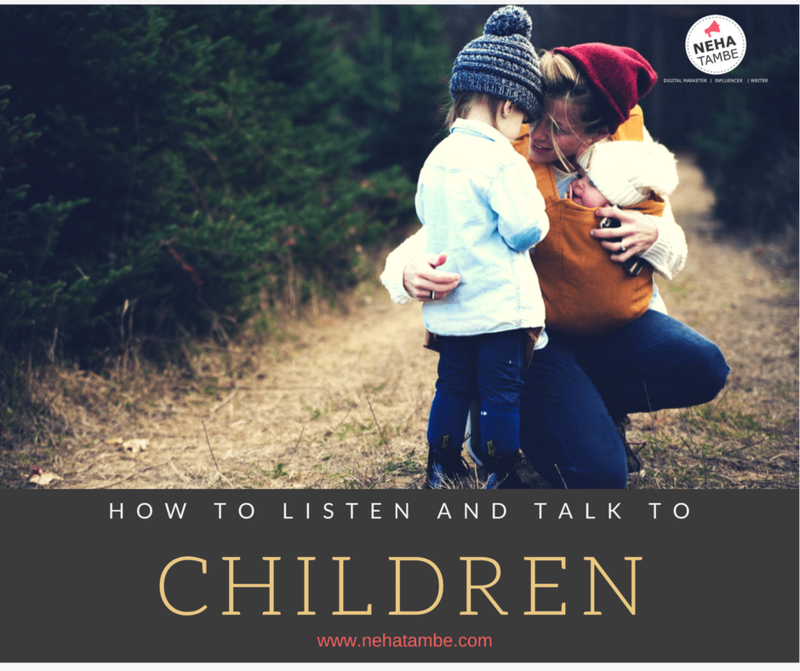 You need to spend time actively listening to your child. Put down your phone, turn off the television and listen to what they are trying to tell you. Do not think about what you should say to your child, how petty their feelings seem to you or let yourself become distracted by side conversation or the multitude of things that you need to accomplish in the next hour. They will only be little for a short time and right now they need you to be their guide and mentor. Use your body language to show your child that you are truly listening. Get down to their level so that your eyes can meet on the level. Nod occasionally to show that you are hearing them. Even if you disagree with what they are saying, let them talk until they take a natural break. If you find yourself becoming emotionally involved in a negative way, then take deep breaths allowing your child to continue until they are done talking. Mimic back to the child what you hear them saying. For example, if they say that “Johnnie is no longer my friend because he threw a toy at me.” Then, repeat what you heard your child say. For example say, ” I hear you telling me that Johnnie threw a toy at you so you know longer want him to be your friend.” Ask your child if your summary is correct. If there are any points that are unclear to you, ask your child to clarify them. In addition, if you are having trouble figuring out a particular word, then repeat the sentence back to the child word for word. You will benefit from knowing exactly what your child says, and they will benefit from hearing the word said correctly. As parents, we often want to rush in and fix a situation when all your child wants is to tell you about it. Therefore, after your child has told you about an event, ask them what they want to do about it. If your child wants you to get involved, then he will let you know. Otherwise, ask questions of your child until they have created a responsible game plan that they are willing to follow. Give your child time to follow the game plan that they have created. Then, ask them about what happened. This lets your child know that you were listening, that you truly care and that you are proud of them for creating a reasonable plan and carrying through with it. If you have asked your child to do something and they have failed to do it, then do not repeat yourself at a higher volume as the child will turn you out even more. When possible, pick a time to talk to the child when they are not busy doing something else. Make sure that you never belittle them in front of their friends. Start by getting down on their level, and make sure that you do not begin until you have their full attention. Keep the message short and to the point. Too many parents dilute the message by using too many words. You are the parent, and you have the right to tell your child what to do as long as you are being reasonable. Make sure to use words that they will understand. Ask the child if they have any questions about what you told them. Even if you are in a hurry, take the time to answer any questions using words that they will comprehend. Then, ask them to repeat back to you what you have said using their own words. Taking this step helps ensure that they have listened and that they understand what you want them to know or do. Communicating with children takes time, but they are your main priority. Take the time to communicate with them effectively, and they will take this skill with them through the rest of their lives. These are some great pointers to deal with a child. It is very important to listen to your child and make them understand what you really want. Speaking quietly and not in front of others and not belittling them is very important when communicating with kids. I liked the point of waiting before repeating instructions and hearing and repeating the thing you heard back at them. This is a relevant post and I agree with Erica on every point. I used to make this mistake. I wasn’t a good listener. I would cut short my daughter if she would talk to me. Later on I realised my mistake when I couldn’t effectively communicate with her. I now consciously finish my work before she gets back home from school & then my time is hers. This has definitely helped me. And yes, my yelling also has stopped. These are some great tips. Erik’s has mentioned some good pointers which can help all the parents. Loved the infographic too. Very helpful post, and a must-read for every parent out there. This will help so much in raising our children.